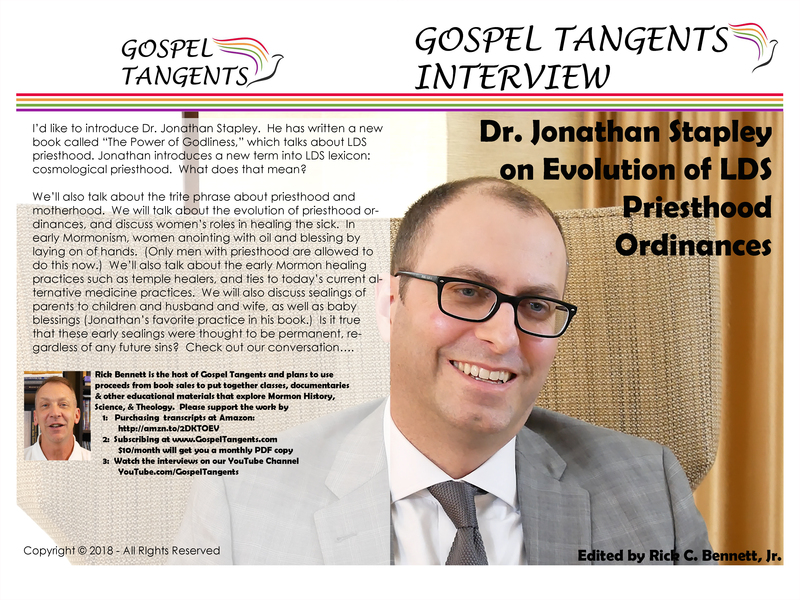 I was pleased to interview Dr. Jonathan Stapley. He has written a new book called the Power of Godliness, which talks about the evolution LDS priesthood ordinances. Jonathan introduces a new term into LDS lexicon: cosmological priesthood. What does that mean? We’ll also talk about the trite phrase about priesthood and motherhood. We will talk about the evolution of priesthood ordinances, and discuss women’s roles in healing the sick. In early Mormonism, women anointing with oil and blessing by laying on of hands. (Only men with priesthood are allowed to do this now.) We’ll also talk about the early Mormon healing practices such as temple healers, and ties to today’s current alternative medicine practices. 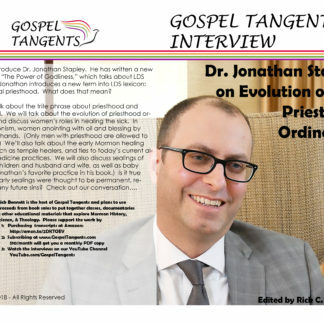 We will also discuss sealings of parents to children and husband and wife, as well as baby blessings (Jonathan’s favorite practice in the book.) Is it true that these early sealings were thought to be permanent, regardless of any future sins? Check out our conversation….